What happens when an inmate sues the sheriff for open records information? In 2008 Brian Edwards Johnson was incarcerated in the Kaufman County jail and sustained an injury. Not sure why he was in jail, or what the injury was. In 2011, Johnson was still an inmate (not sure where) and he filed an open records request to obtain records regarding the 2008 injury. The Sheriff denied the request and asked the AG to rule on the issue. The AG agreed with the Sheriff. Johnson filed suit and appealed to the 5th District in Dallas. Just got this in last week. It includes the testing procedures for controlled substances. In your typical dope case the DPS lab sends a short one page summary of the results of their testing. ADA’s never think to question the veracity of these results. The assumption is that the lab did everything right, and the dope is dope. If you want to even try to second guess DPS lab work here is the place to start. Hey baby, I’m LEO, can I bum a smoke? On March 7th, 2005 Trooper XXXX was counseled for requesting a cigarette from a female he didn’t know, in a public place while on duty and in uniform. The arrested person later complained that Trooper XXXX was flirting with her, and took the cigarette pack from her without permission, and then arrested her when he discovered it contained a marijuana cigarette. If the indignity of being hit on and having your smokes stolen by a uniformed officer wasn’t enough this poor lady was arrested for the “crime” of carrying a joint. Marijuana prohibition, empowering LEO creeps for over 70 years. The rise of the paramilitary SWAT team is a testament to the failure of America’s criminal justice system. It defines the transition from peace officers, to law enforcement. One problem with giving the government the power to kick in doors while playing army is that the government can’t be trusted to kick down the right doors. “New professionalism” advocates like Scalia would be shocked to learn how often the government wields the shock and awe power of the SWAT team at the wrong location. Recently I file an open records request on Dallas SWAT wrong house raids. The first report I received detailed an incident from December 2005. The person involved didn’t ask for blog publicity, so I won’t reveal any personal information. DPS training manual- Investigative Hypnosis? Today I received my new 841 page DPS general operations manual on CD. I thought I knew most of DPS’ crime investigation techniques. This section on hypnosis took me by surprise. The police pull you over and find a suspicious white powder in your car. You swear this powder is for your athlete’s foot. The police believe this powder is cocaine. You are booked into jail. Bail is set at $25,000. The powder is sent to the DPS lab for further testing. You spend two weeks in jail but the DPS lab report comes back negative. Vindicated, you leave jail, short two weeks of life you will never get back. Think that never happens? 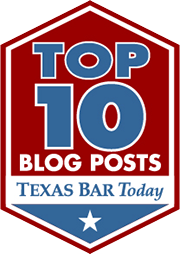 You must not practice criminal defense in Texas. A TDCAA message board post led me to the National Sobriety Testing Resource Center, www.sobrietytesting.org. Welcome to the National Sobriety Testing Resource Center (NSTRC). The purpose of the Center is to provide a comprehensive source of information regarding standardized field sobriety testing, training and certification for authorized and active law enforcement practitioners and instructors. The NSTRC also provides access to the SFST Training Management System, a voluntary, state oriented practitioner and trainer database. The NSTRC is a cooperative effort of the National Highway Traffic Safety Administration (NHTSA) of the US Department of Transportation and the International Association of Directors of Law Enforcement Standards and Training (IADLEST). I am starting work on a new open records project for the Texas Criminal Defense Lawyers Association. Texas already has many individual defense lawyers doing some great open records work. However, these records are not easily shared with other defense attorneys. Ergo, the benefits of these records are not reaching the maximum number of attorneys/defendants. A central database of open records PDF files seems long overdue. I am going to the December TCDLA executive committee meeting in Denton to pitch this project. I want to start with Intoxiylzer records. I am seeking maintenance, failure, repair records for all counties in Texas. I’m also seeking TCLEOSE records, training manuals etc.